New Delhi : Telecom operator Idea Cellular which is Aditya Birla Group owned is going to offer full boutique of services across metro circles on its own with providing 3G services in Delhi. 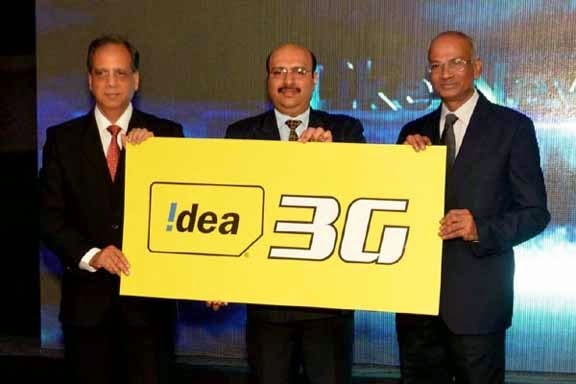 Idea has launch 3G services today in Delhi using spectrum that it won as part of the February 2014 auction. The company has launched 3G services in 900 Mhz band frequency that was earlier used by Airtel and Vodafone. With this launch, Idea has also become first operator to launch 3G service in 900 Mhz band, which was being used for 2G services. "With the 3G launch in Delhi, Idea has not only expanded its 3G footprint to 12 circles across the country, but has also become the only mobile operator to have seamless 3G network across the entire length and breadth of Northern India," Idea Cellular Deputy Managing Director Ambrish Jain said in a statement. "Idea has nearly 6 million subscribers in Delhi with approximately 30 per cent being data users. The existing 3G users will experience enhanced services and products and offerings while the new subscribers will benefit from our affordable 3G tariffs and superior network," Idea Cellular Chief Operating Officer for Delhi Sanjeev Govil said. Idea Cellular now offers 3G service in 21 telecom service areas out of the total 22. In 12 circles, it is providing service on its own while in 9 areas it is providing 3G services under roaming arrangement with Airtel and Vodafone.